Draft beer is available in 16 ounce pints, 22 ounce jars, or 64 ounce pitchers!! 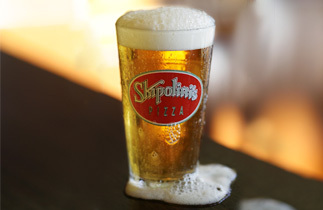 Skips Extra IPA is available in 12 or 16 ounce glasses only. Budweiser, Bud Light, Coors Light.